Prime Minister Alexis Tsipras made clear on Monday that he has no intention of changing parliamentary rules to help former coalition partner Panos Kammenos from losing his privileges in the House as party leader. Last week, the government was thought to be contemplating changing parliamentary rules to keep party leaders’ privileges intact, even if their parliamentary groups dropped to fewer than five MPs, leading to their parties in the House being dissolved. In a letter to parliament president Nikos Voutsis on Monday, the PM moved to quash the rumors, effectively responding to sharp criticism from the opposition. 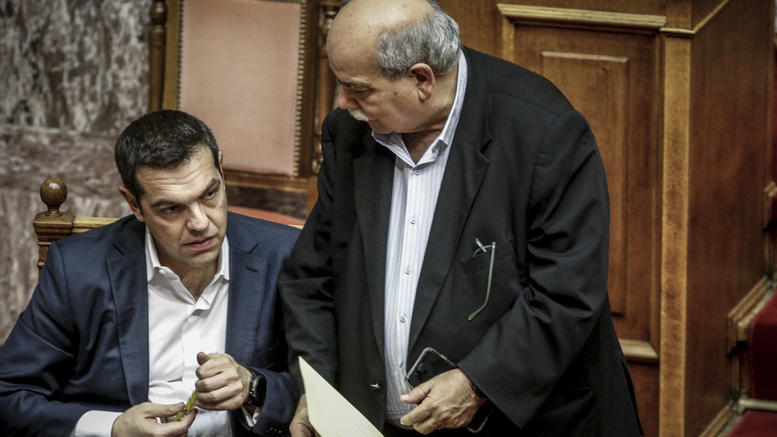 Tsipras asked Voutsis to make no changes to House regulations, not “even [by] a punctuation mark”. “I have never been coerced by anyone ever, and as I do not want to allow anyone to exploit my democratic sensitivities in order to slander me” Tsipras wrote in the letter. Any “ambiguities” in existing regulations should be put before Parliament’s committee of experts, the premier concluded. In response, main opposition New Democracy said Tsipras was not only seen to be “openly blackmailed” by his former coalition partner, but was now ignoring the independence of the institutional role of parliament president, by instructing Voutsis how to deal with the issue. The Independent Greeks (ANEL) party – led by Panos Kammenos – risks falling below the minimum of five MPs (all elected with the same party) required to form a parliamentary group. Last week, the Parliament reportedly asked ANEL MP Thanassis Papachristopoulos to put off his expected resignation until after a vote scheduled on the NATO accession protocol for fYROMacedonia. Papachristopoulos’ resignation is likely to spark a chain of events that would see ANEL’s parliamentary group dissolve.